Whether it is in Waipahu, Kapolei, Indonesia, Fiji, or the Philippines - NHK reflects the love of God by being there to love, help, and pray with them in their times of need. Our teams have been a part of rebuilding of communities after natural disasters, building water wells in places with no fresh water for miles, and bringing hope and encouragement to children with goods and supplies. The Esther Project is the only year round vocational training program in Myanmar with paid staff training the orphans in English and computer science; to provide them the necessary skills to pass the exam and to possess marketable skills to earn a living. In 2019, we will have 6 learning centers in 3 townships, partnering with 29 orphanages, and providing vocational training to over 200 children. In addition to these learning centers, we will continue to provide life changing skills to 50 orphans who have aged out of the system. Focusing on the two critical skills of English and Computer Training, a powerful combination in the developing world, that has traditionally only been available to those who can afford to send their children to private schools. The Esther Project conducts daily classes during the school break in Myanmar (March, April and May) and every weekend the rest of the year. Our efforts are helping to break the cycle of exploitation and generational poverty in Myanmar. The Esther Project is a program of Voyages of Aloha, a Hawaii 501(c)3 (the Global Missions arm of New Hope Kapolei). Aloha literally means “To share or give the breath of life”. Voyages of Aloha is dedicated to sharing in tangible ways the true meaning of aloha by working with the children, women and men that comprise the families and communities throughout the Pacific and Asia; helping them to overcome poverty and transform their lives. In Myanmar we also partner with Myanmar Mission College in the efforts to raise up missionaries and leaders to reach their country with the life giving message of Christ. 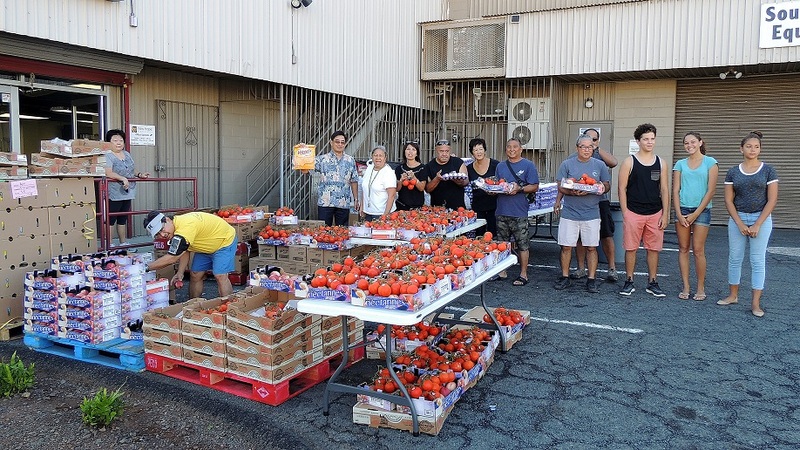 In partnership with the Hawaii Food Bank, The NHK Food Pantry has been providing food for those in need for the past 7 years and continues to be a shining light in the Waipahu community. On the 3rd Saturday of each month, our volunteers gather at the NHK Ministry to pray and serve fresh and canned food to those who could use a helping hand. We provide almost a weeks’ worth of food for about 80 families each month, with an average of 3-4 people in each household. Purchase non-perishable food items and/or organize a food drive in your school or business to donate to the NHK Food Pantry. You can also go to organizations and ask for donations of hygiene products such as toothpaste, shampoo, soap, etc. Volunteers help purchase, organize and disperse food. Shoppers are needed to help purchase items using donated money. Also, pantry workers are needed to help restock the shelves and hand out food to those in need. Please contact the church office if you are interested in serving others in our church and community through the food pantry. If you are going through a tough time financially and would benefit from use of our food pantry, please send us a message and we will provide the necessary paperwork need to join the program. You help support us by clicking the link below and selecting Food Pantry. Clean drinking water is non-negotiable for life and vitality. 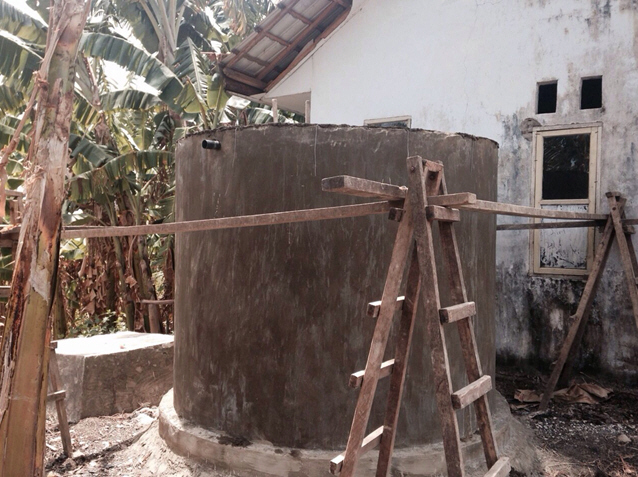 A UNICEF report found that 53% of Indonesian families used a water source located within 10 meters of an open toilet. We became aware of the numerous needs in Indonesia, especially among the smaller islands where fresh water is a scarce and coveted commodity particularly during the dry season. Voyages of Aloha partnered with our friends at Global Hope Network International on the remote island of Tanakeke and invested several seasons of providing materials and NHK manpower in building relationships and water catchment systems while serving the local community. Previously each day, women and girls from the village would embark on an 1 ½ hour walk to neighboring villages to gather water for their families daily needs. The ability to impact a community in such a tangible and lasting way while being able to demonstrate God’s love for the people of Indonesia is both humbling and rewarding.